A family has been left devastated after their Chihuahua died when it ran into a burning van to try to rescue it’s owner and her three-year-old daughter. Dan and Cara Farrant were on a road trip to Scotland to see in the New Year when their camper van started billowing smoke from the engine on the motorway. 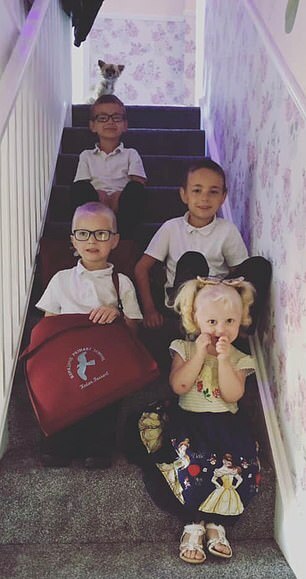 Mr Farrant, 34, managed to get his three sons, aged five, six and nine, out of the van, but his wife Cara and three-year-old Thea were briefly trapped inside when the passenger door got stuck as flames licked the windscreen. 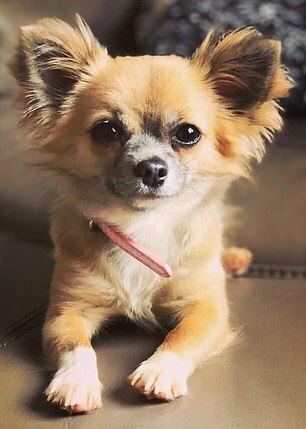 Ms Farrant tossed chihuahua Coco out of the window in desperation, but after the mother and her daughter were pulled from the van, Coco ran back inside thinking the pair were still trapped. As confusion reigned in the dark on the A74M near Moffatt, Scotland, the family didn’t realise that Coco had scampered back into the van – which then exploded. 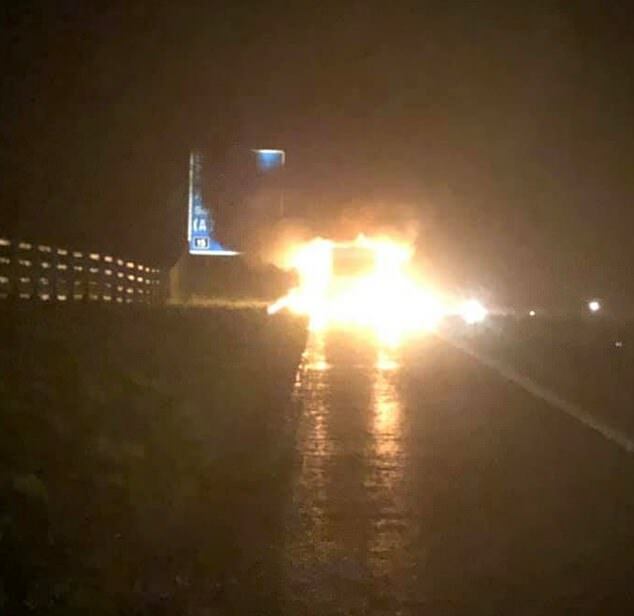 Mr Farrant, who runs a removals firm in Folkestone, Kent, said the family were on their way to Glasgow when then van burst into flames on December 29. He said he will never forget the moment the passenger door got stuck with wife Ms Farrant and daughter Thea inside. He said: ‘I remember looking in [and] I thought it was too late, Cara and Thea was trapped in. ‘I will never forget the look and never forget the screaming at this point. After managing to get his wife and Thea out of the van through the back doors, they joined the couple’s three sons in a car which had stopped to help, but nobody realized that Coco had run back into the van until it was too late. When firefighters arrived they found Coco’s body under the front seat. 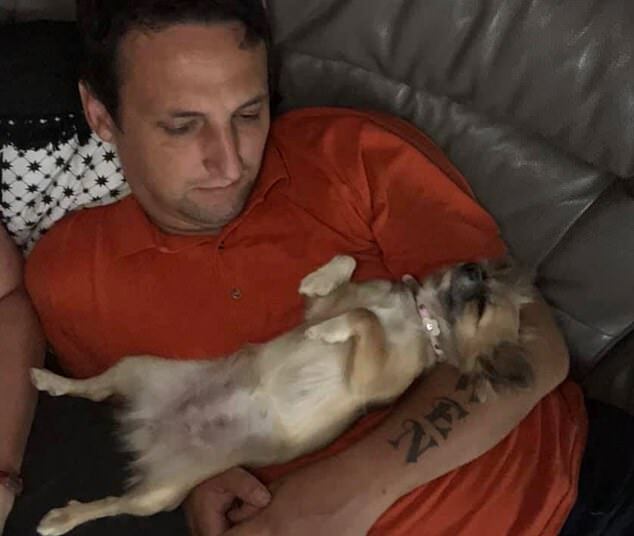 Mr Farrant said: ‘I was only a few seconds from losing my wife and my little girl Thea – Instead we lost our best companion, our angel Coco. ‘My children are suffering and having nightmares. They knew she had gone back in and watched our vehicle explode in front of them with their beloved dog inside. Ms Farrant said she was devastated at losing Coco – who they have had for two years. She said: ‘The dog heard me screaming and we think this is when she ran back into help me and Thea. ‘I just wish Coco didn’t run back in to help me. ‘I’m just lucky it wasn’t me or my daughter that lost our lives but I will never get over losing Coco. A GoFundMe page has already raised £3,140 for the family after being set up five days ago to help them replace all the personal items they lost in the fire.